Sky previously announced that they would be bringing the popular music streaming service Spotify to Sky Q in the UK. Spotify’s music streaming service can now be accessed from the main menu on your SkyQ box, you can sign in with your existing account or setup a new one and it works with both free and paid accounts. Sky Q keeps getting better and better. With this suite of innovation, we are taking the user experience to another level – and we won’t stop there. We will continue enhancing Sky Q and finding new ways to bring customers more of what they love, and in so doing ensure we appeal to every household and every one in that household. 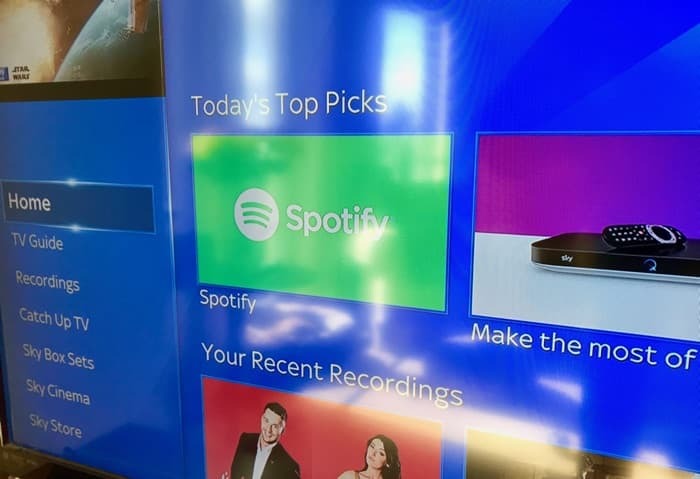 With Spotify joining our Sky Q platform, we are giving customers the best home entertainment experience in Europe.” said Jeremy Darroch, Group Chief Executive, Sky. You can find out more details about the new Spotify app for the Sky Q platform over at Sky at the link bellow.